At Salesforce.org, we are dedicated to helping institutions drive engagement across the entire student lifecycle. 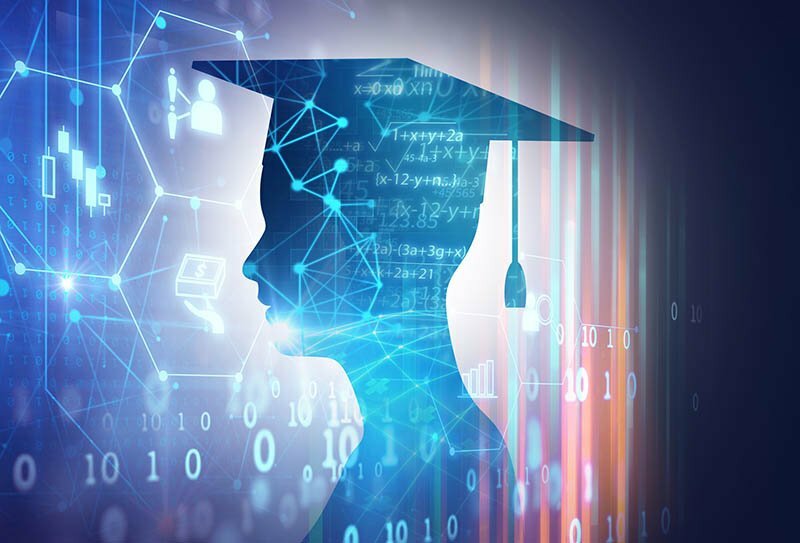 That’s why we recently partnered with Nucleus Research to take a closer look at the greatest challenges in higher education and how Salesforce.org Education Cloud can help. In their latest guidebook, Nucleus highlights common obstacles across higher ed as well as the impact Education Cloud can have on institutions – including a 40% increase in student engagement. When asked to grade their own institution’s performance in key areas such as recruiting, student services, career services, and alumni relations, Nucleus found that the average grade for recruiting and alumni relations was a C+ and C respectively. 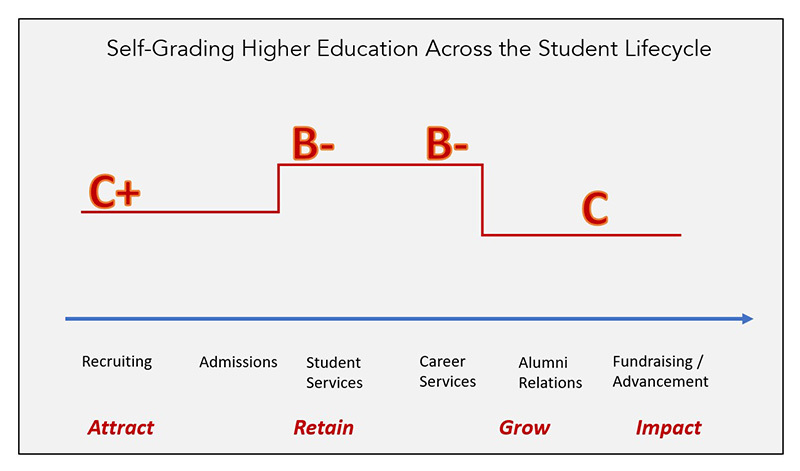 Student services and career services, key components of student engagement, each received a B-. These grades point to a larger challenge of multiple siloed data systems across campus. Data silos make it difficult to attract, engage and guide students throughout the entire student lifecycle. In fact, the average institution has 35 different applications or systems to manage recruiting, enrollment, engagement, job placement, and alumni and donor engagement. Without a comprehensive view of every student, institutions often fall short of providing the seamless and personalized experience that today’s students expect. 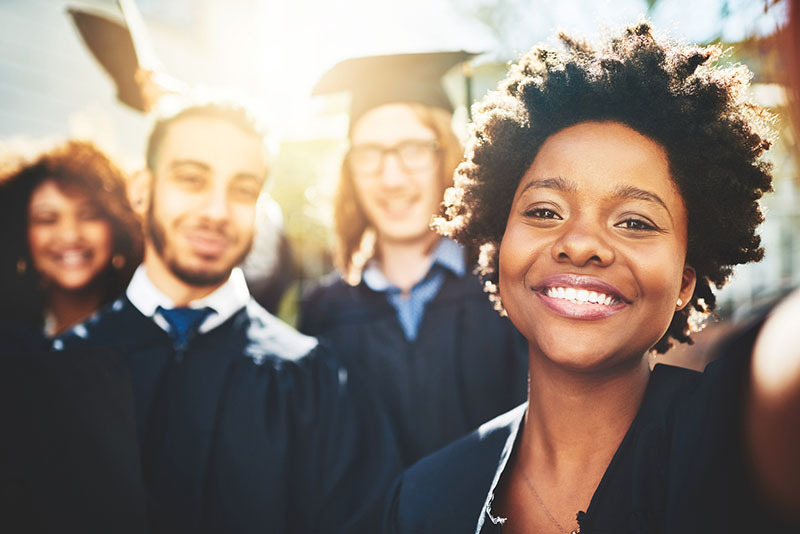 Nucleus found there were four main reasons why higher education customers chose Education Cloud: its higher ed-specific capabilities, data security, breadth of capabilities within the solution and the Salesforce ecosystem, and Salesforce’s investments in ongoing innovation. 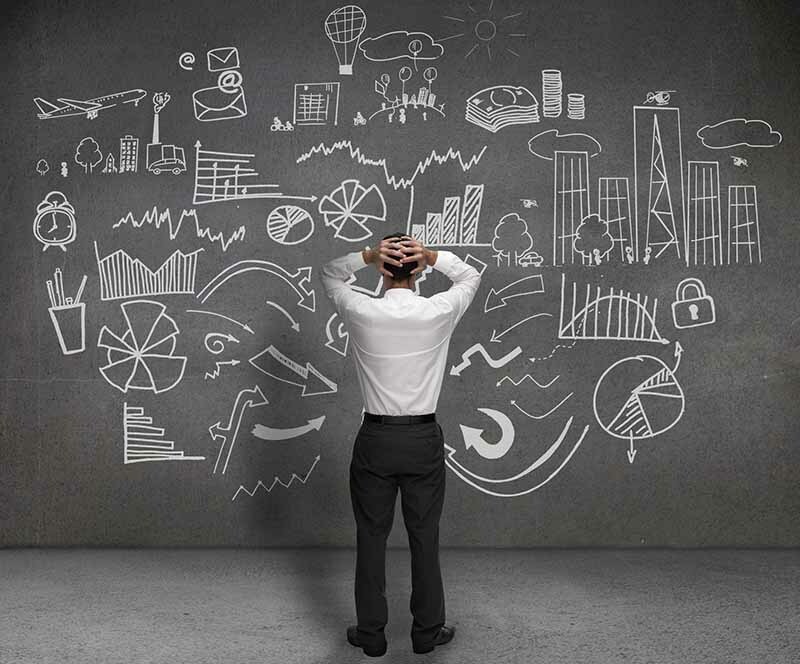 Institutions need a CRM that not only speaks the language of higher ed, but also consistently adopts new features and functionality to align with the evolving challenges facing the industry. Nucleus found that Education Cloud customers value the continuous innovation from Salesforce.org as well as the extensive partner network and third-party point solutions that allow for the flexibility needed to meet their specific business goals. Education Cloud is also compliant with federal regulations, keeping data secure and protected for each and every student. In addition to a 40% increase in student engagement among institutions using Education Cloud, user productivity increased by 12% to 18%, with some organizations seeing dramatic increases of up to 80%. Institutions cited the ability to ease advisor scheduling with automated tasks and many were able to increase efficiencies across campus with less time spent gathering student data. Ease of integration with an SIS, LMS, financial aid systems and more allowed for changes to take place quickly across campus. With features like Einstein Analytics, customers were able to quickly create student engagement reports, predict student outcomes and take proactive measures to guide students to success. 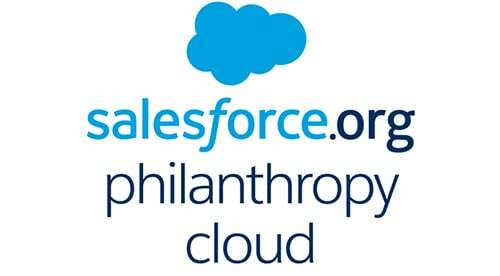 Many institutions noted that Salesforce.org was truly committed to their use of Education Cloud with support before, during, and after deployment. Stronger student relationships are built on the foundation of connected student data. Technology needs to help institutions maximize every students’ potential — from the moment a student first sets foot on campus to the day they graduate and become alumni. By creating a 360-degree view of every student, Education Cloud empowers institutions to turn data into insights and insights into actions. These connected insights make it possible to shape proactive and personalized interactions with students, ultimately putting student relationships at the center of every institution. Discover how you can become a Connected Campus with Education Cloud by registering for this webinar with Nucleus Research. 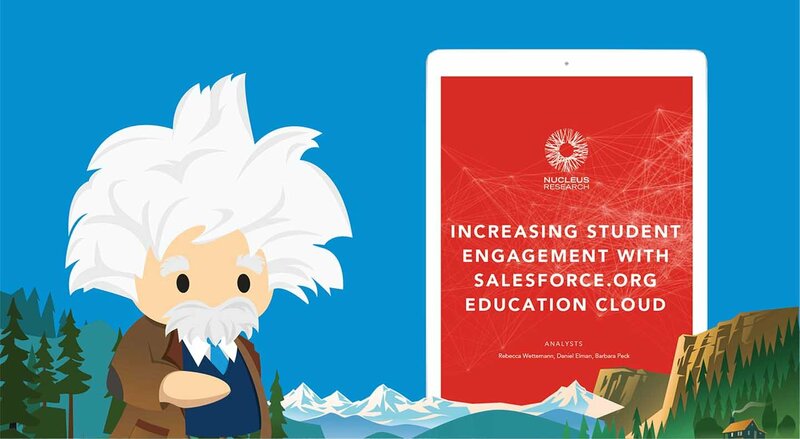 And make sure to download your copy of the Nucleus guidebook on Increasing Student Engagement with Salesforce.org Education Cloud for even more data and insights.